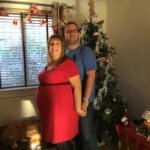 As you now know, I graduated from 90 Day SSS last week, having lost 20.9 lbs and 23.5 inches, in fact since 5th November 2015 I’ve lost 29 lbs in total. My wardrobe is now acting as storage for lots of things that no longer fit me and I’ve got lots of ebaying to do! Admittedly clothes shopping has never been a pleasurable experience for me (with the exception of wedding dress shopping many many years ago), it’s more of a case of ‘that fits me, that’ll do!” It’s only now that I’m having to learn the art of clothes shopping. At the moment it’s about finding everyday things to wear, jeans, t-shirts, jumpers and a winter coat. I bought a lovely pair of John Rocha Elise size 16 jeans that I used a shoe horn to get into before I started the plan, now they are sitting redundant waiting to be put on sale. I never before understood that clothes can affect the way you feel until Mr Burble said something to me last week when we did the mad dash jeans hunt. I put on my only pair of jeans (skinny size 16) and dug out a pair of boots that I’ve not been able to wear since before the twins were born (my feet went up a whole size and are just about back to normal – no one tells you that bit!) and he said that I had a real spring in my step. To be honest, I’d just finished the plan. I was buzzing from the fact I’d managed to complete it and I was delighted with the results. Add to that I was wearing skinny jeans and I was on cloud nine. So it dawned on me that wearing old next size 20 hareem trousers that hang off me day to day did noting for me, but put on a pair of skinny jeans and it lifted my self esteem 100%. So my hareem trousers are on the skip pile and I’m sitting here writing this in a Primark size 14 long sleeved t-shirt, Next size 16 skinny jeans and I feel bright, warm and sunny! This weekend we decided to visit the local outlet village to look for a few bits for the both of us. The last time we went there we were part way through C2 and I decided I wanted to buy a dress. I walked past a boutique and there was this pretty grey dress that I didn’t stand a chance of fitting in, showed it to Mr Burble who confirmed it was nice and we walked on by. As we walked further away from the store I had the urge to go in and get it. 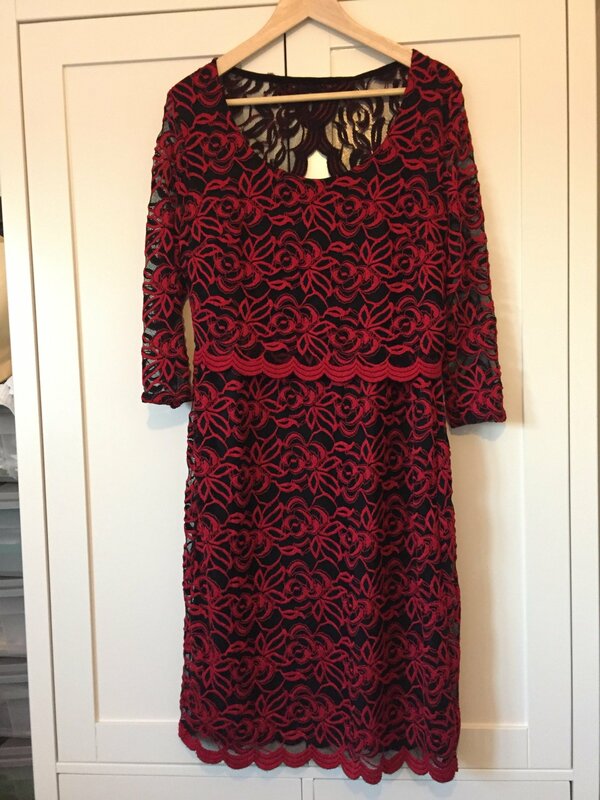 Trouble is, I was flanked by my mother in law, so I walked in, found the rack with said dress, picked up a size 12, paid for it and off I went. 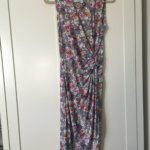 My mother in law must think I’m mad buying a dress that’s obviously too small, but she’s not said as much yet. Anyway when I got home, I tried it on. It’s made from quite a stretchy material but I got it on. I wouldn’t step out of the house wearing it quite yet, but I use it as my progress gauge. So this visit I decided I wanted to get a dress to wear on Christmas Day. 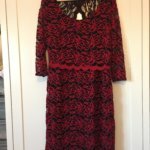 I always go for something a little comfy so that Christmas dinner doesn’t make me feel uncomfortable, so jeans or stretchy hareem pants and a red top sparkly top normally, but this year I want to wear a dress, something a little fitted to remind me how far I’ve come so that I don’t over do the Christmas food. Also this year I want a picture taken with the family where I’m not hiding behind one of the children, piece of furniture or a cushion. When I looked back to find my ‘before pics’, i noticed even before the children were born I’m happy behind a camera, but rarely am I in front of it. In the summer we took the children to a splash park on a hot sunny day, I was wearing a strappy top and skirt. When we got home, I had a look at the pictures we’d taken and I looked huge! This was probably the start of me deciding how to shift my bulk. Looking back at the last couple of Christmas pictures this pattern was evident, but Christmas 2014 was interesting. I was heavily pregnant with the twins, but I was out and proud so to speak. There was no hiding my ‘bump’ so I wore it with pride. Little did I know that I would be holding my twins in 4 weeks time, earlier than I was expecting! 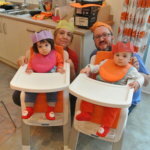 Christmas 2015 was the twins first Christmas and the only pictures of me are hiding behind the children. Christmas 2016 is going to be different. So back to yesterdays shopping. Marks and Spencer had some pretty dresses but there was one that caught my eye. So with the children’s good will I look a size 12 and size 14 to the changing rooms. I had an argument with the size 12, it refused to get past my bust, so hopes lay with the size 14. Not only did I get it on, I was pretty happy with how it looked on. My silhouette isn’t quite as flat as I’d like it to be. If I wore some wonder underwear right now I’d be comfortable with wearing the dress, but I’ve got a few weeks to address that. I want to be in that dress Christmas Day without the need for serious tummy tucking underwear. So with that in mind I really had to give myself a serious talking to yesterday. I’ve been feeling really tired since submission day. I could almost do with some time off, but that would be counterproductive. We’ve been eating C3 style with an extra carb meal a day and we’ve still been working out. Yesterday was a workout day but after lunch out I really wasn’t in the mood to workout, I was tired and the last thing I felt like doing was a workout. But as soon as the children went to bed, I donned my workout gear and gave my best efforts to my T25 Beta Speed 2.0 session. I kept thinking about the dress I’d bought and how I want to look and feel in it on Christmas Day. This morning, sitting here in my skinny jeans, I’m feeling really positive about the next round of 90 Day SSS i’m waiting to start. I don’t have any goals set, I’m just hoping to change my body shape even more, but I’m loving the extra energy it’s afforded me and being able to wear anything with the word ‘skinny’ in the title is a bonus! Previous Post 90 Day SSS Graduation, what happens after?